With 119 million unique multiplatform visitors in August 2017, CNN Digital recorded its third highest trafficked month ever. It was also the network’s 2nd highest month for mobile visitors, behind only November 2016. In addition to posting its own record numbers, CNN Digital outpaced all competitors across platforms, registering more multiplatform unique visitors, millennial (18-34) visitors, mobile visitors, multiplatform video starts and a greater social reach than any other news outlet. CNN topped BuzzFeed for the third month in a row to reach more users between the ages of 18-24 than any other news and information brand, and CNN Politics extended its 29-month winning streak as the number #1 digital source for political news. 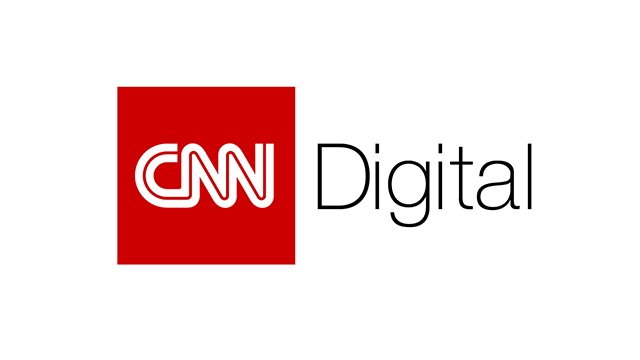 In August 2017, CNN Digital reached more people than any other news source with 119 million unique multiplatform visitors – a +12% increase vs. July and +18% YOY. CNN beat its closest competitor, The New York Times, by more than 20 million unique visitors across platforms. Fifth place Fox News trailed by 41 million and BuzzFeed followed with only 74 million visitors across platforms. Source: comScore Multi-Platform Media Metrix, August 2017. Based on CNN Brand entity compared to a custom list of single brand competitors in the News/Information Category. As the long-standing news leader in video, CNN once again won August 2017 with 462 million multiplatform video starts across desktop and mobile properties, the 2nd highest month on record – 232 million more starts than its closest competitor BuzzFeed and 328 million more than Fox News. Source: comScore Multiplatform Video Media Metrix, August 2017. Based on CNN Brand entity compared to a custom list of single brand competitors in the News/Information Category. CNN Digital saw 98 million unique visitors on mobile devices in August – an increase of +10% vs. July and +33% vs. August 2016. Posting its second highest month on record, CNN topped The New York Times by 15 million mobile visitors while both BuzzFeed and Fox News dropped in the category, recording 35mm and 37mm fewer visitors. Source: comScore Mobile Metrix, August 2017. Based on CNN Brand entity compared to a custom list of single brand competitors in the News/Information Category. For the third straight month, CNN Digital upset BuzzFeed by reaching more multiplatform users between the ages of 18-34 than any other digital news source. Source: comScore Multiplatform Media Metrix, August 2017. Based on News/Information Category; Persons: 18-34. Marking an impressive 30 straight months at #1, CNN Politics beat all competitors with 34 million unique visitors across platforms – an increase of +17% versus the prior month. CNN Politics saw 11 million more visitors than The Hill and 13 million more than third-place Politico. Source: comScore Multi-Platform Media Metrix and Video Metrix, August 2017; Views are browser only and include desktop video. Based on News/Information – Politics Category. Sources: Shareablee, August 2017. Brands included in comparison are CNN, Fox News, MSNBC, The New York Times, HuffPost, The Wall Street Journal, The Washington Post, BBC News, BuzzFeed, ABC News, NPR, Mashable, The Daily Mail, NowThis, AJ+, Al Jazeera English, NBC News, CBS News, HLN, and Yahoo News. Facebook main accounts for CNN are CNN and CNN International. Twitter main accounts for CNN are @CNN and @CNNBRK. Instagram for CNN includes flagship account only.